The former director of the security firm Blackwater aided the Libyan opposition and was subsequently sent to contact Syrian rebels in Turkey at the request of a U.S. Government committee, according to published Stratfor emails and reported by Al-Akhbar English. 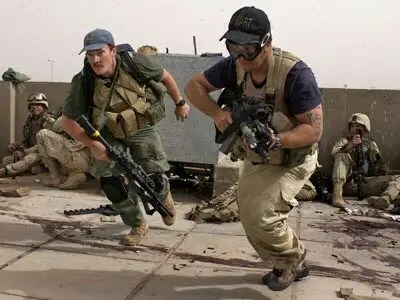 Blackwater’s primary public contract is with the U.S. State Department for protective services in Iraq, Afghanistan, Bosnia, and Israel. Jamie F. Smith, former director of Blackwater, is currently the chief executive of the security firm SCG International. Smith became a major source for Stratfor by September as he and Stratfor vice president Fred Burton built a rapport. Smith provided intelligence (under the codename LY700) to Burton on developments in Libya— where SCG International was contracted to protect Libyan National Transitional Council (NTC) members and train Libyan rebel fighters after the implementation of the no-fly zone in March 2011. Smith provided information on missing surface-to-air missiles (SAMs) and allegedly “took part” in the killing of former Libyan dictator Muammar Gaddafi in the town of Sirte. “**Source and Dr. Walid Phares are getting air cover from Congresswoman [Sue] Myrick to engage Syrian opposition in Turkey (non-MB and non-Qatari) on a fact finding mission for Congress. ** The true mission is how they can help in regime change. Walid Phares is a Lebanese-American citizen who is currently co-chair of Mitt Romney’s Middle East advisory group. Burton is a former Deputy Chief of the Department of State’s counterterrorism division for the Diplomatic Security Service (DSS). The DSS assists the Department of Defense in following leads and doing forensic analysis of hard drives seized by the U.S. government in ongoing criminal investigations. Stratfor provides confidential intelligence services to large corporations and government agencies, including the U.S. Department of Homeland Security, the U.S. Marines and the U.S. Defense Intelligence Agency. WikiLeaks has published 925 out of what they say is a cache of 5 million internal Stratfor emails (dated between July 2004 and December 2011) obtained by the hacker collective Anonymous around Christmas.